Dr. Lynch Authors Mold Prevention Guide for NJ Schools. 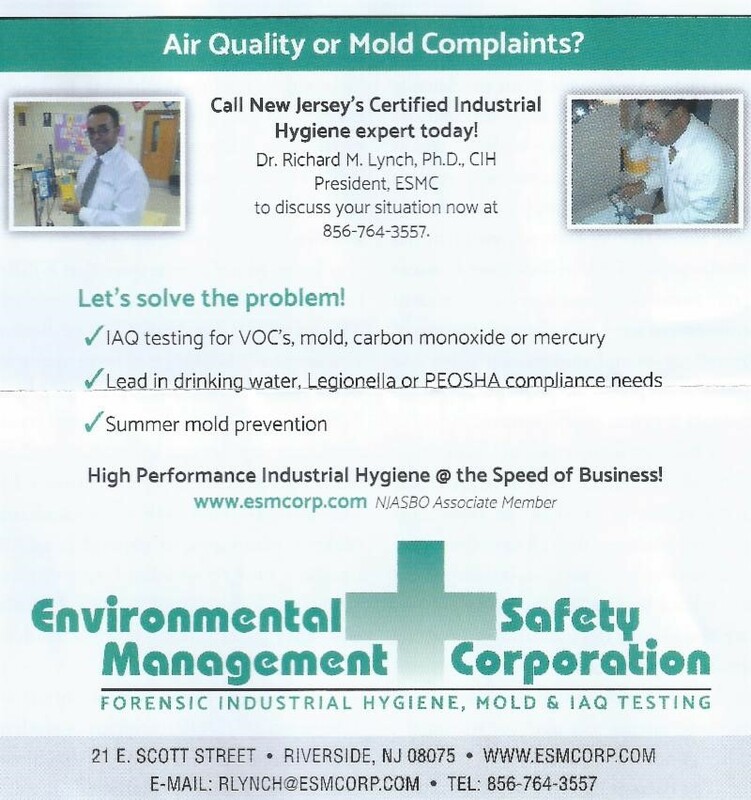 Call or E-mail Dr. Lynch Today for Assistance | Environmental Safety Management Corp.
Last month we reported that reported that heavy rainfall, warm temperatures and high humidity, throughout the region were resulting in elevated humidity in schools resulting in widespread momld growth in NJ, PA and NYC schools. We reported that active management of indoor conditions during the high humidity periods were needed to prevent summer mold growth. 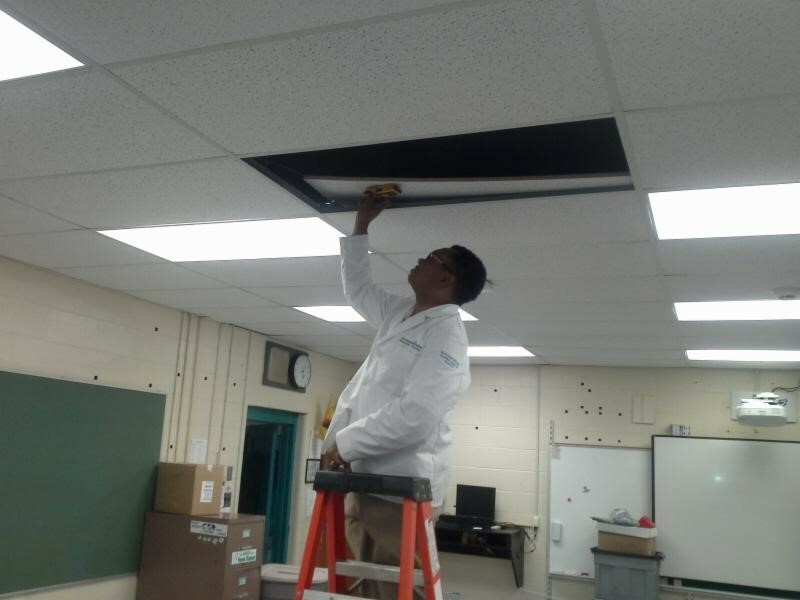 In response to the numerous school mold issues, the NJ Schools Insurance Group reached out to Dr. Lynch to prepare a simplified guide that school Administrators and Facilities Department could follow to help reduce the potential for mold growth during periods of prolonged humidity. The attached guide was prepared by Dr. Lynch and is now available on the NJ Schools Insurance Group’s SafetyNet October 2018 Newsletter. If you observe mold-like discoloration on surfaces, Choose the Expert. We are the area’s’ most technically competent IAQ consultant…and we are usually more cost-effective than our competitors. Call Dr. Richard Lynch, Ph.D., CIH, CMC, CMRS, CHFM today at 856-764-3557 for mold testing and clean-up oversight and FY 2018-2019 School Air Quality Management Program Quote.